The world’s largest reef system has suffered five death events. ternational study of the Great Barrier Reef has shown that in the past 30,000 years the world’s largest reef system has suffered five death events, largely driven by changes in sea level and associated environmental change. 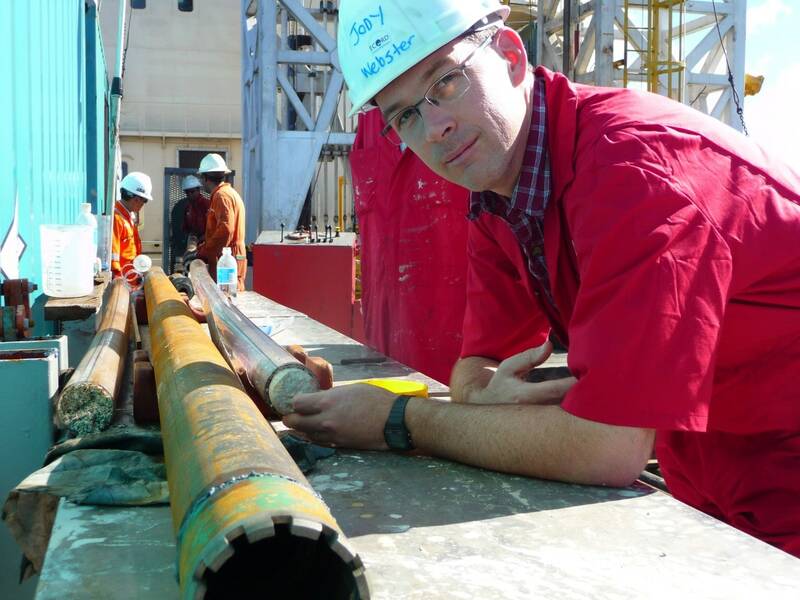 Associate Professor Jody Webster inspects a fossil reef core on board the Great Ship Maya. 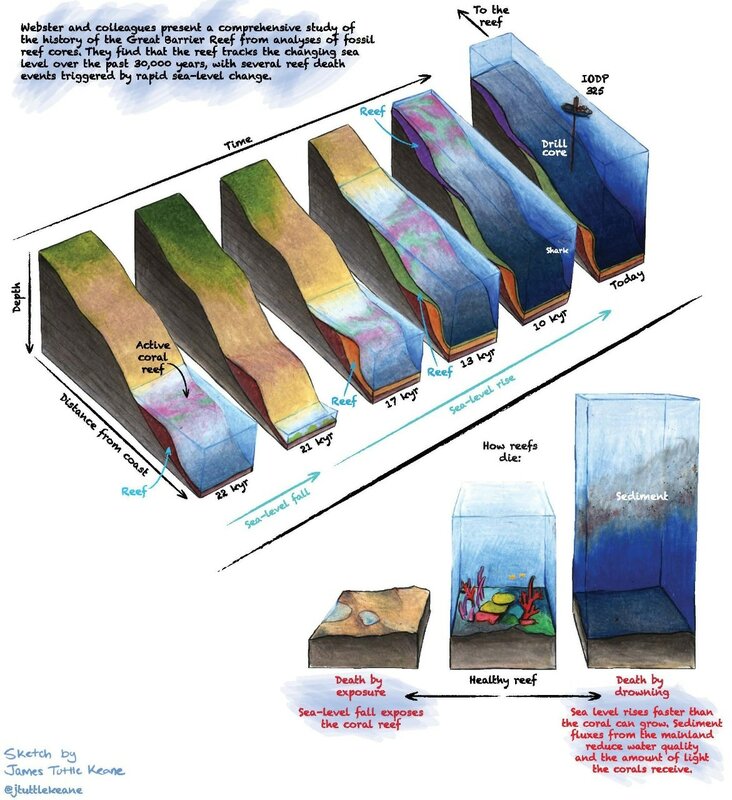 The study covers the period from before the “Last Glacial Maximum” about 20,000 years ago when sea levels were 118 meters below current levels.
. Graphic by James Tuttle Keane and courtesy of Nature Geoscience.